Scientists, clinicians, and the general public frequently hear about “personalized medicine” and “targeted therapy,” yet the personalized medicine revolution has been late in coming. One nascent, active field in the area of targeted therapy is nanomedicine, which seeks to create “nanobots” capable of autonomous, targeted delivery of therapeutic agents. These nanobots have little in common with their science fiction brethren. They are not miniature robots, but rather nanomaterials that can alter their chemical and physical properties in response to various stimuli. 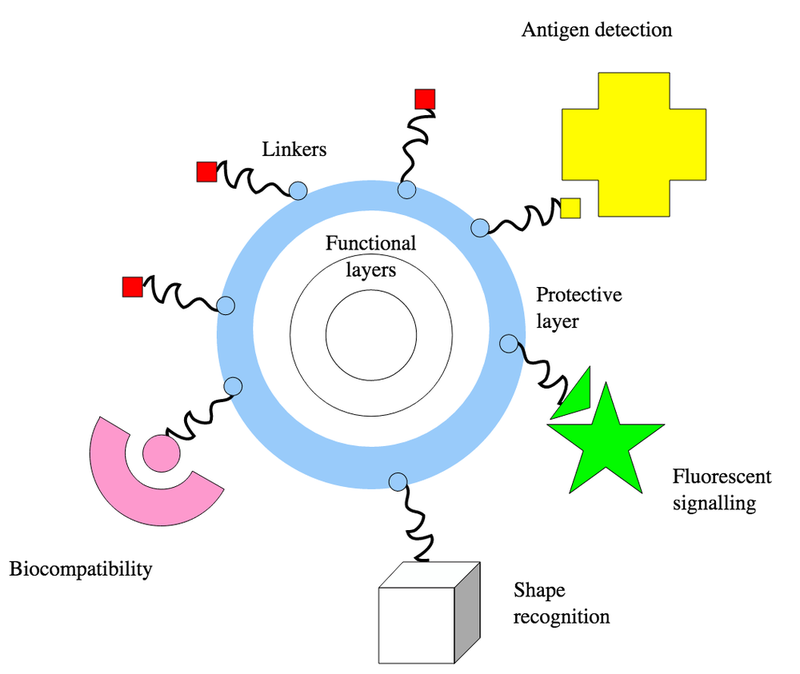 Nanobots offer certain advantages over competing technologies; for example, whereas the antibodies used by immunotherapy and viruses used by vectored therapies provide two means of achieving highly targeted therapy, neither method offers perfect selectivity or conditional release of therapeutic drug payloads. Nanobots, on the other hand, sense their surroundings and release drugs selectively, dependent on time and location. Although promising, nanobot-based therapies face serious regulatory and technical hurdles. As recently reported in The Atlantic, nanobots are difficult to troubleshoot and assess for efficacy, because the points of failure are many – did the nanobot fail to reach its target location, did it fail to detect its drug release condition, or was the drug itself ineffective? However, nanobots show promise in diagnostics and therefore could still be a boon for preventative medicine. Nanobots could alter their chemical composition in response to changes in concentrations of biomarkers, which could indicate progression of a disease state. And, because they work locally and are continuously present, nanobots could offer early warning when homeostasis is disrupted, not unlike the indicator light on your dashboard. In summary, “nanomedicine” is a buzzword to watch out for in the coming years, but it is not likely to replace more traditional therapeutics any time soon. The promise of nanomaterials in human health care is largest in the area of molecular diagnostics, which has seen slower improvement than has the area of targeted therapy.